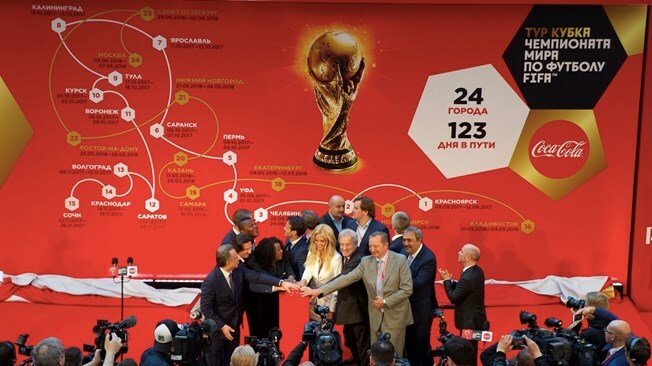 January 23 – The global leg of the FIFA World Cup Trophy Tour sponsored by Coca-Cola kicked off with an official launch ceremony in London on Monday and plans to hit 91 cities across 51 countries and six continents. Former World Cup winners Sir Geoff Hurst of England and Andrea Pirlo of Italy were on hand to send the trophy off on its worldwide journey, with Uganda the next stop on March 5-6. Among the nations where the trophy is touching down for the first time ever are Iceland, Austria and Mongolia. Before the global leg of the tour, the trophy made its way across Russia for three months, visiting 16 cities and traveling more than 16,000km.